I’m surrounded by amazing neighbors. I am. The week before my vacation, our neighbor to the south, gave my husband a signed copy of the book you see on the left. I flipped through it and was immediately hooked. I was 10 the first time I heard the Ozark Mountain Daredevils. I heard them on my own, weird, little plastic, rectangular radio with the huge dial that I had in my room. Our house was a musical one. My mom played accordian, I played violin and my brother and sister both played piano. We had one of those rad stereos mounted on the wall. You flew the front doors open and the speakers swung out to the side, then the turn table dropped down for the spinning of the vinyl. And spin some we did. On that turn table the records of Johnny Cash, Cat Stevens, Fleetwood Mac, The Mama’s & the Papa’s, Jim Croce, Elton John and the Eagles were played. The Eagles were played so much that today I can only stomach them if it’s my husband strumming their stuff on his guitar here at home. I saw the Ozark Mountain Daredevils only once, late 80’s or early 90’s I can’t remember. They were playing at a country-type bar that was located by the Wal-Mart on South Campbell street. It was fun, it was crowded, it was a bar. I also used to frequent the River Rock where Supe & the Sandwiches played quite often. That was a fun time in my life. And after reading the book, it was a fun time for them as well. I liked the fact that several things around our area are mentioned in the book since they spent a lot of time here. You’ll find the radio stations and personalities, the venues, the other musicians they were associated with and the places around the Ozarks familiar if you’ve lived here long. I’ve lived here my entire life. My mother-in-law is from Aldrich, MO. I showed her a photo in the book of Ruedi-Valley Ranch (where they lived in Aldrich) and asked her if she’d heard of this place. Her eyes lit up. “Why yes. My dad did a lot of work on that place. It’s probably still there. I could take you right to it, would you like to go sometime?” Heck ya. One thing I liked about the book is the easy flow, the sense of humor, the sarcasm and great detail. I also liked the way the author never bad mouths other band members, even though the reader senses some serious tension at times. The book pretty much sticks to what happened to them as a band. So if you’re looking for a lot of personal stuff you won’t find it here. There are tidbits but all in all, the story is the story of a band. If you’re interested in and not bothered by the mention of recreational drug use, this book is for you. If you’re interested in wild groupie stories and crazy rock-n-roll sexcapades, this book isn’t for you. The author does mention Connie Hamzy at one time and I think her name is misspelled in the book with an “s” instead of a “z.” The story starts in the 60’s and ends in 2004. That’s a lot of ground covered and it’s covered in great detail. I think today we tend to forget what entertainers had to do to get a gig or make a record. These days you just put yourself on youtube or audition for American Idol. Enjoy this local rock-n-roll story. It’s totally worth it. When I arrived in Florida, book in hand, the first thing I did was walk out to the pool with my camera. My parents still have their huge Super Video sign leaning against their back garage. I had to laugh as I shot this photo. Any other day, the supe in super wouldn’t have meant so much. Thanks for a great read. The story really does shine. Categories: books | Tags: book, daredevils, granda, it, michael, mountain, ozark, shined, supe | Permalink. I’ve lived here, in the Ozarks my entire life so I could really relate to this book my friend Mary just penned. I met Mary’s daughter Krista first. She’s been in my yoga class at MSU for years now. I had the pleasure of meeting Mary (Krista’s mom) a couple of years ago, when she showed up in my YMCA yoga class. Mary built a house with Krista in the 80’s down in the sticks in Galena. When I say, she built a house with Krista, I really mean she built the house with Krista. That’s it, the two of them. No guys. It took them three years. Mary lived in a trailer on the property while they worked. She really pegged the characters they ran across during the construction, and if you’ve lived here for very long, you’ll totally get it. Her story is inspirational, motivational and a true example of dreamers who do. A real treat if you’re familiar with the Ozarks. Enjoy! P.S. If you’re interested in yet another cool building project, I’ve been following this blog for a long time as well. Check out the progress on this shipping container home under construction right here in the Ozarks. Categories: books | Tags: book, building, hammer, house, mary, nails, peterson | Permalink. Awhile back, I posted about a book my mom gave me to read called Will to Murder. It’s a true story that took place at the Glensheen mansion in Duluth, MN. I’m just about to finish it, finally! If you like murder mysteries (true ones especially) this is a must read. This has got to be one of the most detailed books I’ve read in quite awhile. I’m hoping to have it finished this weekend so I can mail it to my grandma (who resides in Duluth, MN) when I take all of my e-bay packages to the post office on Monday! There’s no end to what the main character in this book will do to get what she wants! 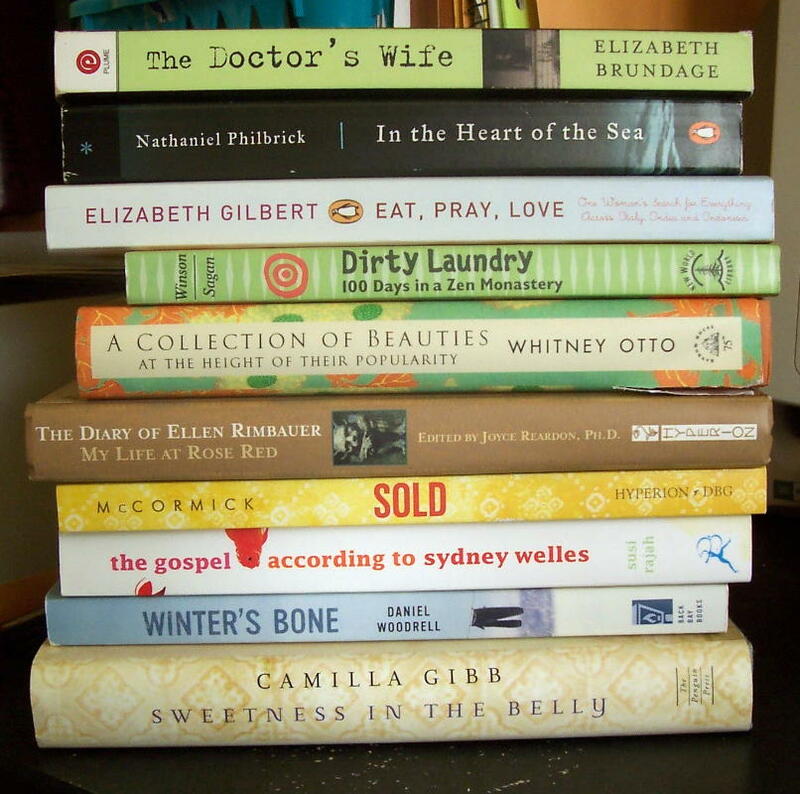 Categories: books | Tags: book, crime, duluth, glensheen, minnesota, murder, mystery | Permalink. My mom and my dad are both from Duluth, Minnesota. We still have a ton of relatives there, so I’ve been there a bunch of times. The latest was just two years ago. Duluth is a pretty town, on Lake Superior. It’s up high on a hill and the water views are really pretty. It’s also really cold. I remember going down by the water one time in July, the wind was blowing and I was wishing I had ear muffs! 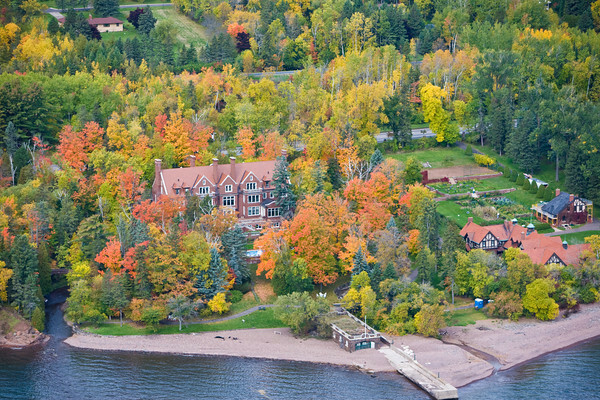 Duluth is also home to a stately mansion, or castle I should say. I’ve been there several times over the years. I remember the first time I went there. I thought that the home of the caretaker (on the left) was fabulous, and I still do! I also thought I could live happily ever after in the carriage house (on the right)! Then, you see the entire house! It was built in 1908 and I’m not sure of the square footage, but let’s just say it’s gargantuous! This house is owned by the University of Minnesota and has been open for tours for quite some time. Some bad stuff went down at Glensheen in 1977. Bad stuff meaning a couple of murders. No one will talk about any of the “bad stuff” on the tour. Certain floors have always been closed for viewing. The grounds are lovely featuring massive gardens, a small river and what was once an extremely awesome boathouse for the day. 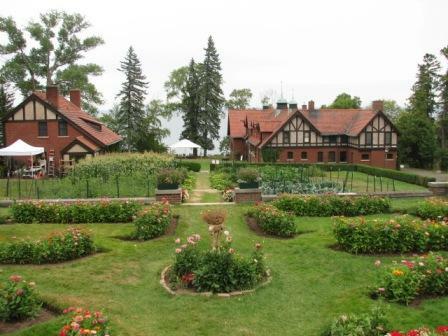 A book has been written about the killings at Glensheen. My mom finished the book on her trip here and just handed it to me. I’m supposed to send it to my grandma (who lives in Duluth) when I’m done. Oh, the pressure of having to finish a book. This is why I cannot use the library! Rumor has it, the tour guides are starting to include more details of the secret stuff when you visit. Guess I’ll find out next time I go to Duluth. If you’re interested in what my mom said is a great murder/mystery, the book is called Will to Murder. I just finished another really good book, Not Fade Away. True story. Sometimes, the hardback books you can find at Deals for $1 are totally worth it! I have an obsession with death. Not so much with murder mysteries, but with dying in a graceful fashion. That’s an entire day’s worth of blogging, for another time! P.S. If you like cold blooded murder stories, I just finished one of those as well. Check out Tragedy in Tin Can Holler. Yikes! Chilling, totally. For the record, I’m still reading Into the Wild and A New Earth as well. Categories: books | Tags: book, duluth, glensheen, minnesota, murder, mystery | Permalink. I buy books. I hardly use the library as I never know when I’ll have the time to read. I’ve just straightened up my bookshelf and these have got to go! I’ve already given several away, but I have this stack left. If you would like to read any of these books, or know anyone that would, let me know! I can bring them to yoga class, or meet you someplace convenient for drop off. I do not want these back! They were all worth reading – to me anyways! Categories: books | Tags: Add new tag, book, books, class, Yoga | Permalink.